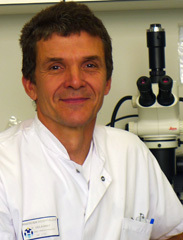 Dr. Pascal DELAUNAY is a medical biologist specialized in Parasitology, Mycology and Entomology. In the Laboratory of Nice University Hospital, he has experience with all aspects applied to Public Health. He is endeavouring to develop the field of medical and environmental entomology for physicians, patients and pest managers. His research topics are leishmaniasis and malaria in Parasitology and Cimex lectularius, Aedes albopictus and Pyemotes sp. mite in Entomology. Research program Manager entitled “Cimex lectularius ou Punaise de lits: vecteur d’agents infectieux et rôle pathogène” funded by PHRC 2009-2012 from French Ministry of Health. He assists State and National governments in planning for bed bugs and tiger mosquito infestations. He is involved in chikungunya and dengue outbreak risks for French State Health Departments. Found something suspicious? Put your mind at ease by making use of our free specimen identification service today. Click >>here<< for more details. We are currently updating the website to make it multilingual and to support membership. Approximate translation has been done using an automated plugin. This will be proof read and corrected shortly.